Just in case you bought your pie frozen and are wondering how to bake it properly! Pre-Heat oven to 350 degrees. Brush the pie with milk and sugar. Place the frozen pie into the oven and bake for approximately 1.5 hrs. Time to bake can vary based on variety of pie and the oven. 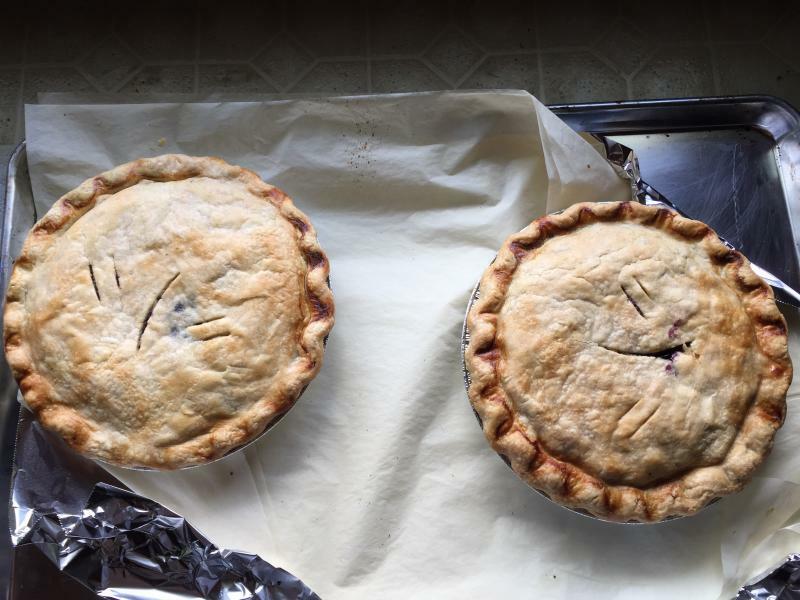 Look for translucent color and consistent bubbling in the pie juices, especially in the berry based pies. A great sign of being baked long enough is if any juices spilling from the pie are thickening! Copyright 2011 Butternut Farm. All rights reserved.